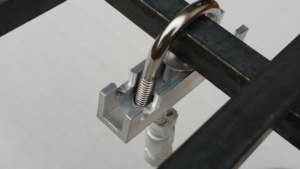 The Grate Escape Security Kit has been engineered to specifically attach to the Adjust-A-Grates. The following are our best recommendations if you need to modify the way the security kit attaches to a different style of grate. improvement or hardware store, ensuring the included bolts will fit flush with the top of the washers. You will then remove and discard the top clip, keeping the provided bolts and nuts. Run the bolts down through the fender washers, then through the holes on your grate and into the bottom clip of the security kit. Use included nuts to attach this bottom clip on the underside of your grate. It is necessary to keep the cable of the security kit as close to the center of your grate as possible. Proceed with remaining installation instructions. Purchase a ¼” x 1” x 1 ¾” U-Bolt, available at any home improvement or hardware store. 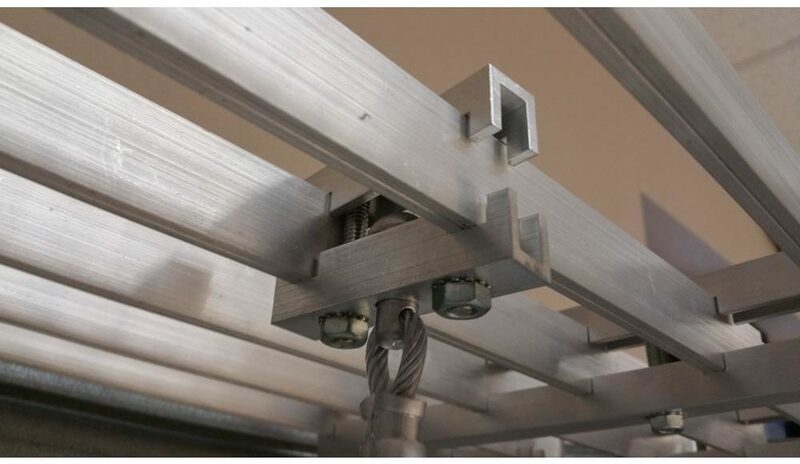 The last dimension on the U-Bolt is for the height so one a little longer could be necessary depending on the thickness of your grate. Replace the top clip and the included bolts from the security kit with the U-Bolt. 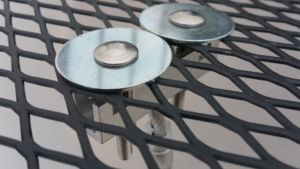 Place the U-Bolt over a central bar or support in the grate (the U-Bolt may have to be spread slightly) then through the holes on the bottom clip of the security kit on the underside of your grate. It is necessary to keep the cable of the security kit as close to the center of your grate as possible. Proceed with remaining installation instructions.